It's kind of a revelation making polenta from fresh corn the way Yotam Ottolenghi does in his cookbook, Plenty. It bares little resemblance to the polenta I'm accustomed to . This version is lighter, sweeter, with a fresh corn flavor that's out of this world and takes less than 30 minutes to make. Unlike traditional polenta made from cornmeal, fresh polenta is made only from sweet fresh corn kernels simmered in water, then pureed in a food processor or Vitamix. No cream or milk is added. The quality of the polenta depends on the freshness of the corn. Therefore make it only when sweet corn is available. I chose to top the polenta with grilled shrimp, zucchini, and some roasted tomatoes. Ottolenghi uses a delicious eggplant sauce. Other options might be grilled vegetables, ratatouille, or whatever you can dream up. Line a sheet pan with parchment paper. 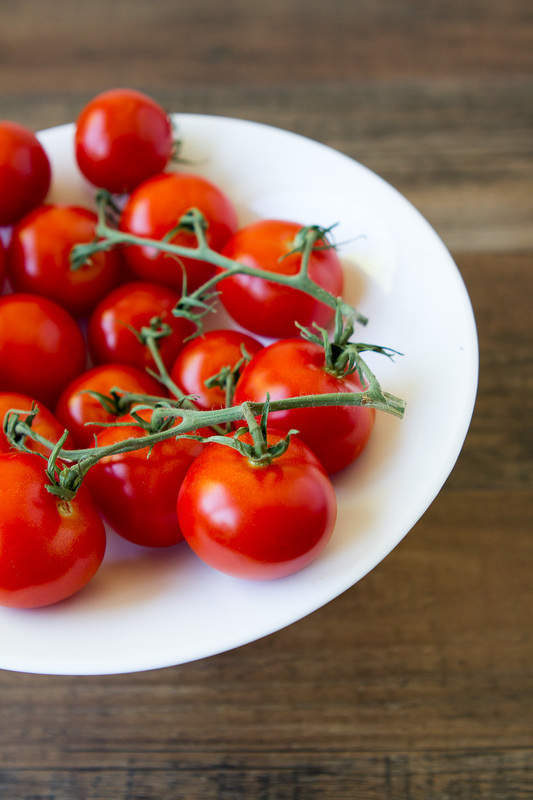 Lightly toss cut tomatoes with olive oil, salt, pepper and fresh thyme if desired. Place skin side up on baking sheet and roast in the oven for about 1 hour or until shriveled. This can be done up to a day ahead. Set aside. Toss shrimp and zucchini with olive oil, salt and pepper. Grill until nicely charred. You can either leave the shrimp whole, or cut them in half. Cut the zucchini into 1 inch slices. Set aside while you make the polenta but warm the topping for a minute in a saucepan before serving. 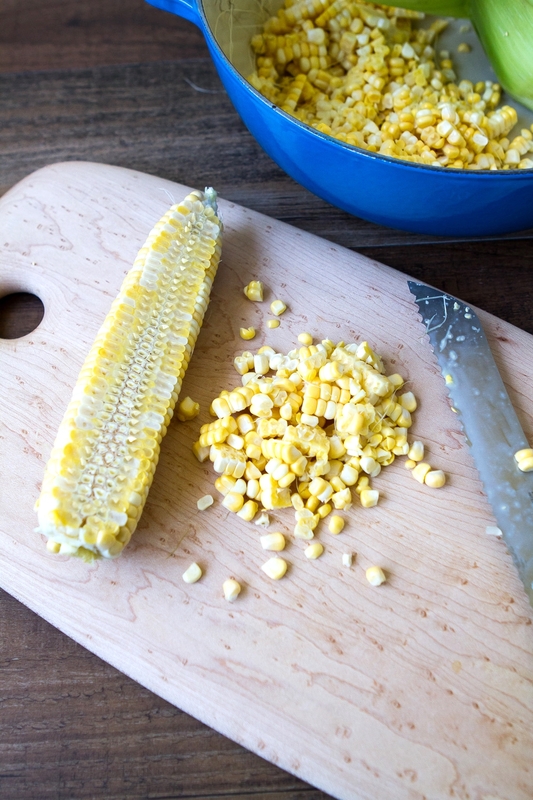 Remove the kernels from the corn using a sharp knife and place them in a saucepan with the water. Bring to a simmer and cook uncovered for 12 minutes. Using a slotted spoon to lift the kernels from the water, transfer them to a food processor or a Vitamix, reserving the water. Process for a few minutes, adding a little of the water if too dry. Return the corn paste to the saucepan with the reserved water and cook stirring on low heat for about 10 minutes or until the consistency of mashed potatoes. Off heat, fold in the butter, cheese, salt and pepper. Divide the polenta among shallow bowls or one large serving bowl and spoon the topping in the center. Serve immediately.